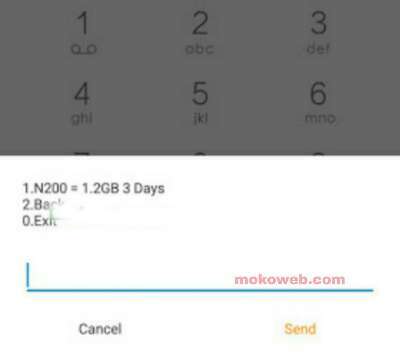 You can now get 1.2GB for N200 and a whopping 6GB for just N1000 thanks to Glo special data promo silently released without much fanfare and advertisements. Glo special data is similar to 9mobile special data plan that gives 1GB for N200. You can see the difference is clear here because Glo tops with a bigger data volume of +200mb and sometimes it’s based on eligibility and SIM selective. Therefore Glo special data plan is open for all subscribers, be it old or new sim (3G or 4G sim). The data here can be used to power all apps including your web browsers, social media apps etc. It works on Android phones, tablets, iOS devices, modem, PC and any other device that uses internet connection. Then dial *777# reply with 1 > then 1 > then 5 > then 2 > then 1. Simply dial *127*0# to check your data balance at any time. To get up to 6GB for just 1000 Naira, you need to keep subscribing 1.2gb for N200 for 5 times because this plan supports multiple subscription. What Is The Validation Period For This Plan? All the Glo special data plans are valid for just 3 days. This is one of the reasons Glo is renowned to be the “grandmasters of data”. This kind of data plan is perfect especially when you need to download heavy files online or when you want to stream videos. I won’t recommend it for people only concerned about chatting on social media because it will be a waste of data. You may check Glo Oga SIM promo that gives double data for any subscription you make as an alternative. Enjoy while the offer last.